The Partnership to Advance Youth Apprenticeship (PAYA) released guiding principles for high-quality youth apprenticeship programs. You can read more about each principle and their related outcomes in the full document here. Over the coming weeks as part of its first blog series, members of the partnership will be exploring these principles in-depth and why each is important to both the expansion and quality of youth apprenticeship across the country. Right now, youth apprenticeship has the nation’s spotlight. It has the attention of state and federal lawmakers, of K12 and higher ed decision-makers, and of families that are ready to embrace new pathways to career success for their students. But the attention it really needs is from industry. It’s industry’s buy-in that will make modern youth apprenticeship sustainable, career-oriented and meaningful in a 21st-century economy. For youth apprenticeship to take root in America as firmly as it has in countries such as Switzerland and Germany, businesses in modern industries such as financial services and information technology need to recognize its strategic importance to developing a skilled workforce. A system of professional training combined with traditional education will not only help over the long term as the United States faces growing global competition, but also deliver tangible return on investment based on apprentice productivity in the shorter term. As a business owner, I’ve been at the center of the Industry/Education Venn diagram for decades. I’ve witnessed the ebb and flow of philanthropic education programs as well as top-down federal and state initiatives. Over the years we’ve made incremental progress towards preparing all of our students for success, but it’s not enough. So what we’re doing at CareerWise Colorado is adding the business community into the equation to drive our youth apprenticeship model in a manner that not only adds incredible value to the education system, but also adds value to the employer’s bottom line. 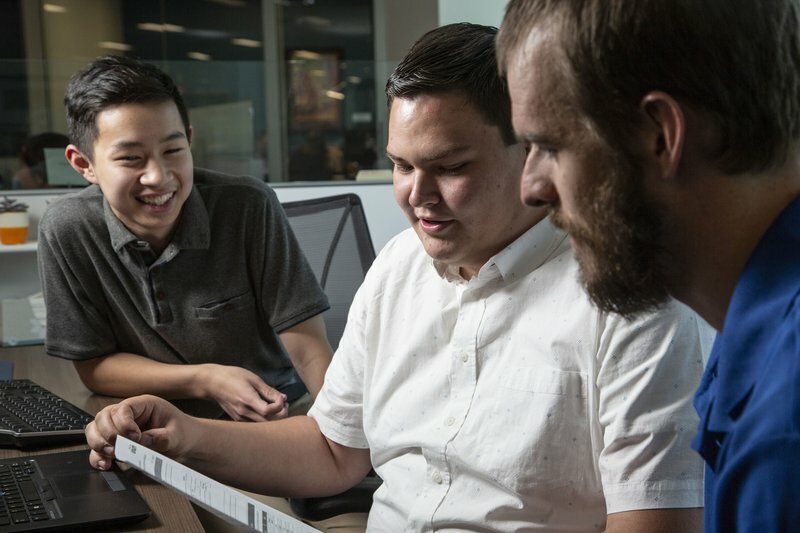 Some CareerWise Colorado employers are already reporting positive ROI from our first cohort after their first year of the three-year apprenticeship. It’s easy to focus on the transformational benefits of apprenticeship for students. It’s easy to see the difference it can make in a young person’s life: building skills that will serve him or her as a lifelong learner, opening doors to college, and illuminating paths to career success that hadn’t been there before. We’re seeing this with the students we are serving in Colorado; apprentices and their parents are finding that in many cases grades are improving, doors are opening to higher ed, and the soft skills needed to thrive in the modern economy are developing rapidly. But those benefits to students are only unlocked after our business partners identify real problems that apprenticeship—and the skills it develops in the workforce—can solve. By creating parameters around apprentice-able positions that ensure they lead to careers in high-growth and high-pay fields, the program also maintains a focus on benefit to the student. By keeping an eye on the North Star—the career-oriented principle—apprenticeship is a win-win for both sides of the system and in turn, our communities as a whole. So what does career oriented youth apprenticeship actually look like? It brings industry to the table to help shape the system from the beginning. Local and regional business leaders should have input into the types of high-growth, high-pay occupations that are in-demand. Involving business at the start ensures that the apprenticeships have value in industry and the community, as well as a career path beyond apprenticeship for the student. It’s also essential that industry have a hand in shaping the competencies and skill sets that define “work-ready.” At the conclusion of an apprenticeship, the expectation is that students will be able to step into a full-time role. The skills that they’ve developed in the apprenticeship need to meet the competency requirements of the position—employers have the perspective to shape occupation competencies that are most beneficial to an apprentice. Youth apprenticeship’s wide adoption by industry will support a standardized approach to apprenticeships and the competencies that are trained. Without industry at the table from the start, youth apprenticeship may be yet another footnote in the history of well-intentioned, but unscalable or unsustainable education innovations. It’s apprenticeship’s value to an employer’s bottom line that will preserve and grow the system through administrations, changing political winds and economic downturn and recovery. It’s also what will deliver on the career-oriented promise of what apprenticeship can mean to a student’s future. My business, Intertech Plastics, has made the shift from being simply a consumer of talent to having a hand in producing the talent through CareerWise. I consider modern youth apprenticeship our not-so-secret weapon (just look at what one of our apprentices designed and built to solve a manufacturing problem he identified—it’s saving us tens of thousands of dollars a year!). As more businesses make that same paradigm shift to producers of tomorrow’s business leaders, more students will have more career options. And, businesses will have an innovative new talent-acquisition strategy to fill their in-demand positions. Industry’s cooperation through modern youth apprenticeship will keep U.S. businesses competitive with their global competitors and our education institutions on-pace with the ever-changing digital economy. Noel Ginsburg is the Founder and CEO of CareerWise Colorado.